Bespoke Garden Rooms designed and manufactured by Cambridge Timber Buildings will transform any area into a beautiful space in which to relax, play or work. 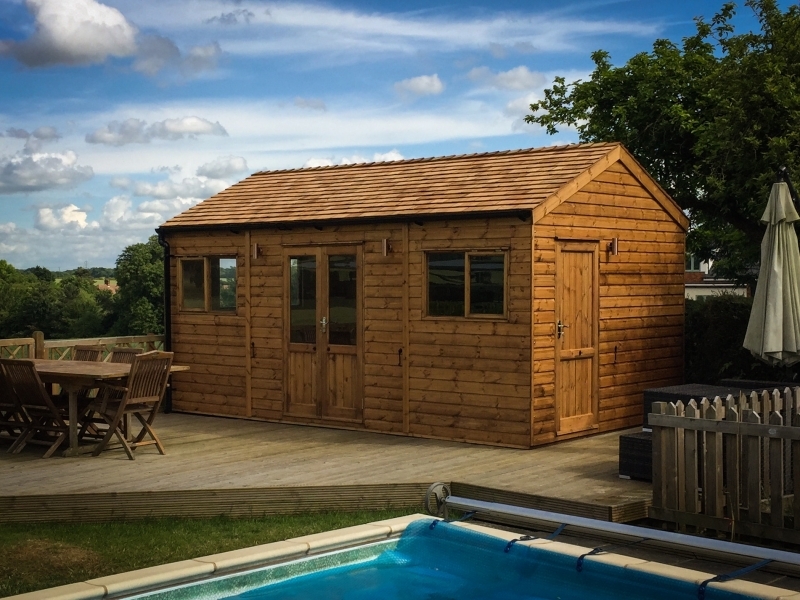 If you are looking to turn your garden into an area of tranquility to simply kick back and relax in, or if you would like to create an office space allowing you the convenience to work from home, with one of our superior garden buildings you can do just that. Alternatively if you simply need some extra space for your home and have room to expand into the garden, then our Garden Rooms offer a cost-effective option without the hassle and expense of an extension. Cambridge Timber Buildings offer a range of styles that are only limited by your imagination. Whether you are looking for a Garden Office, Garden Studio, Gym, Games Room or Cinema, then we can create a building to optimise even the smallest of spaces available in your garden. At Cambridge Timber Buildings, all our Garden Rooms are created using sustainable materials with FSC® certified timber. We provide a complete service from concept and design to manufacture and installation for all customers in Cambridgeshire and beyond. As craftsmen we pride ourselves on the quality of our work creating beautiful handmade Garden Rooms in our workshop near Cambridge to your specifications. Some examples of our work can be seen in our Photo Gallery and a visit to our workshop is always welcomed where we can take you through every stage of your buildings design and manufacture. If you are looking for a Bespoke Garden Room for your home, then speak to us in person today on 01353 667268 or email us and we will be happy to provide you with a competitive quote on a beautiful Garden Room, custom made to your requirements.